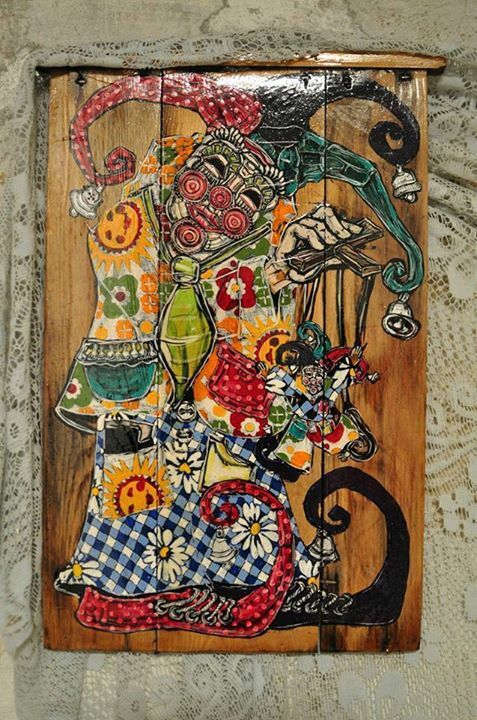 Yura Rafaliuk is an artist and musician currently living in the village of Legedzine, Ukraine who paints, embroiders, and plays Tsymbaly (Hammer Dulcimer), using traditional Ukrainian folk motifs and melodies interpreted in his own unique hybrid style. The major theme of his current work is to study textile samples that have been in fashion in the village of Legedzine, situated in Cherkassy region, in central Ukraine. Fabric is seen as a form of an information matrix that transfers culture, local preferences and the lifestyle of village inhabitants. With it, you can follow how the fashion and tastes have been changing in the given region since 1940 -­ 1950s till now.